Bench Mark Program continues strong leadership. Lancaster, PA, April 02, 2019 --(PR.com)-- The Bench Mark Program Board of Directors is pleased to announce that they have elected Jameel Thrash as their new chairmen. Bench Mark Program, a non-profit based in Lancaster PA, is focused on investing in at-risk youth by providing positive, long-lasting support needed to achieve success. The program matches highly at-risk youth from the community with mentors who use exercise as a platform to create dialogue about issues affecting the participant’s life. Program participants regularly have access to these mentors for support with weightlifting, exercise, academic counseling, and career development. The guidance these mentors give provides sustainable leadership training and growth. Jameel Thrash has served as both a mentor and director. Mr. Thrash is a graduate of both West Chester University with a Bachelors of Arts in Communication Studies and Delaware State University with a Masters in Adult & Continuing Education. Mr. Thrash is currently employed as the zoning officer for the City of Lancaster. Along with his professional credentials he brings with him community leadership and a passion for service. 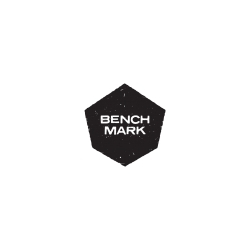 For more information, visit http://www.benchmarkprogram.org.